Stories cross mediums like clouds cross skies, an’ tho’ a cloud’s shape nor hue nor size don’t stay the same, it’s still a cloud an’ so is a story. Back in July when the glorious six-minute trailer for Cloud Atlas came out, I wrote about how I had written about the unfilmable nature of the source material back in February. 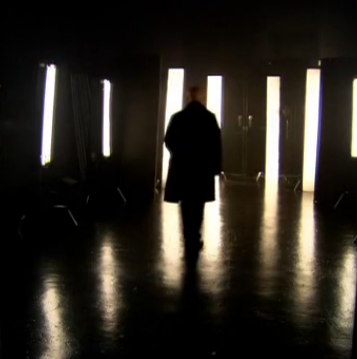 In said article– which I had initially planned for LitReactor’s October 2011 launch, but postponed so I could wait for a producer’s quote which never materialized– I promised to revisit the matter once the film had been released. It was set to hit theaters this past October, which it did, but luckily I got to see the film early, at a Fantastic Fest secret screening this past September. At the time of this reading (but not of this writing), some of you have no doubt seen the film, and the column idea I hatched over a year ago has finally come to fruition. It will now spread across the consciousness of the internet, and be transformed in the minds of those who read it, before being passed on in some form or another, verbal or electronic, while hopefully retaining its true essence. “Mockingjay,” the final film installment of the blockbuster book series, “The Hunger Games,” will be split into two parts, with the movies to be released in 2014 and 2015, the Lionsgate studio said on Tuesday. Lionsgate, a unit of Lions Gate Entertainment, said “The Hunger Games: Mockingjay, Part 1” will hit theaters on November 21, 2014, and “Part 2” on November 20, 2015. “The Hunger Games” film franchise is based on a best-selling science-fiction trilogy by author Suzanne Collins and follows the story of rebel heroine Katniss Everdeen, who tries to fight the oppressive regime ruling the nation of Panem. 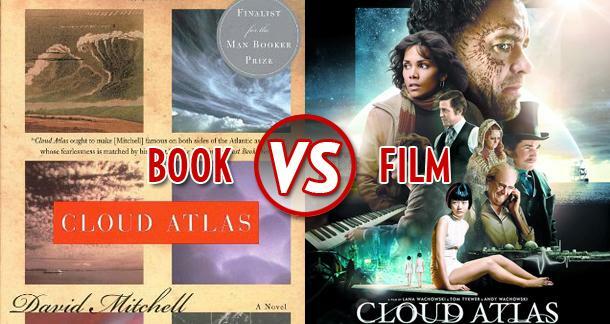 There seems to be a flaw in the human brain when it comes to film adaptations of books. I say this because movies rarely, if ever, turn out to be better than their literary source material. And yet, every time I finish an amazing novel, I immediately start praying that it will be made into a film. Seriously, brain, what’s up with that? Well, when it comes to love, I guess I can’t be rational, and I’m smitten with these books. The idea of getting to experience them again, in a different if inferior way, still ridiculously excites me, so Hollywood, I hope you’re paying attention. In a world of undiscovered countries and high seas adventure, a Dickensian composer living in Belgium… Wait a minute, that can’t be right, can it? Are you sure? Ok, then… An intrepid journalist investigates improprieties at a nuclear power plant… Am I missing a page here? Is this even the same movie? An aging publisher on the run from the mob, trapped in a nursing home against his will– Alright, is this someone’s idea of a joke? In the not too distant future, a clone working at a fast food restaurant contemplates rebellion, but is actually the subject of a holographic film being watched in a post apocalyptic future where the last surviving members of an advanced civilization watch over a group of primitives– Seriously, how can this be one movie? It doesn’t make any sense. In the not too distant future, a clone working– dammit, we’ve done this part. An aging publisher… an investigative journalist… What the hell? Why are we going backwards? A Dickensian composer– That’s it! I’m out of here! Good luck with your ridiculous movie. That’s right, David Mitchell’s unfilmable opus, Cloud Atlas, is coming to a theater near you, courtesy of the Wachoswski siblings (nee brothers) and (run) Tom Twyker (run). The purported (though denied) $150 million epic stars Tom Hanks, Jim Broadbent, and Susan Sarandon, to name an illustrious few. It also stars Halle Berry. …the film will see the actors playing multiple roles in the various storylines. Twyker and the Wachowskis will shoot parallel to each other using two separate film crews. It’s expected Tykwer, whose credits include the 18th century-set Perfume: The Story of a Murderer, will handle Cloud Atlas‘ period era plotlines while the Wachowskis apply their Matrix mojo to the novel’s sci-fi settings. Of course, the question on everyone’s mind is, how the hell are they going to pull this off? 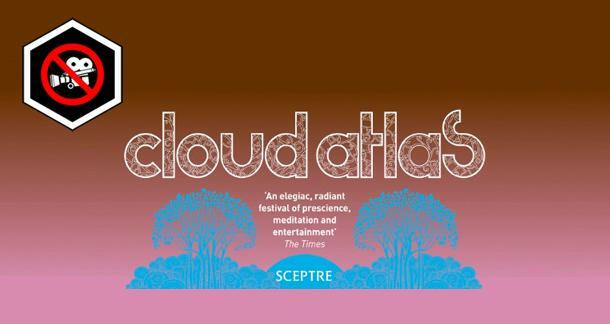 For those of you who don’t know (and couldn’t discern the ramblings of the theoretical trailer), Cloud Atlas is comprised of a sextet of stories structured like a Russian nesting doll. A Russian nesting doll starring at its own reflection. You get the first half of each story- except for the sixth, which sits complete at the center- followed by their conclusion, in reverse order. Each section is presented as a historical or fictional document in the one that follows (or the one preceding, if you’re on the back end), acting as a thematic through line. It is a pastiche of genres, encompassing everything from high seas adventure to post-apocalyptic sci-fi. Fantasy novel Daughter of Smoke and Bone is set to made into a film after Universal Pictures acquired the worldwide rights. 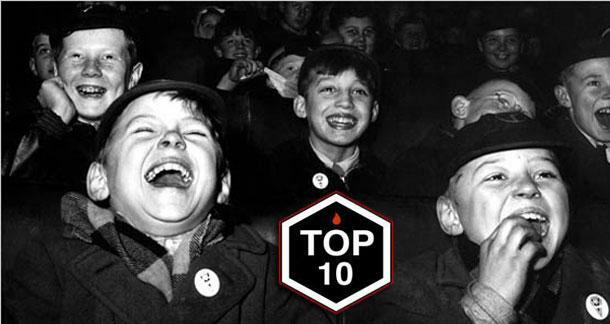 Written by Oregon-based author Laini Taylor, the Hodder title is the first of a YA trilogy and has been picked as one of Amazon.com’s Top Ten Books of 2011. The novels follow an ancient battle between angels and devils and a forbidden romance.